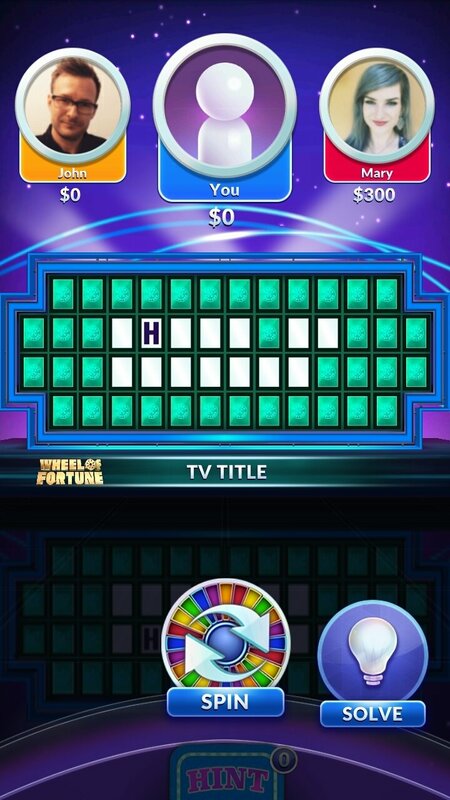 Wheel of Fortune is quite an old TV contest program broadcast in the USA for over decades and that also has its own local versions in many other countries, including the UK or Spain to name just a few the nations this format has been exported to. 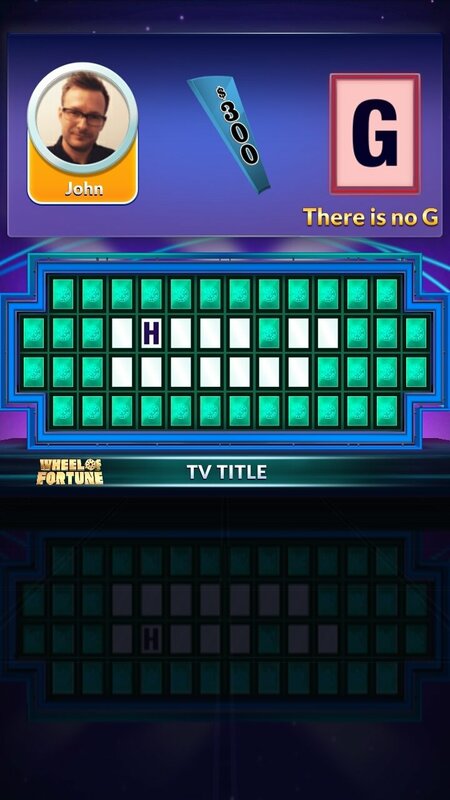 Well, here's this Wheel of Fortune Free Play, the adaptation of this contest to Android that comes along with all the permissions necessary to play it on the smartphones and tablets that run on this mobile operating system and in which we'll spin the wheel accompanied by its famous host, Pat Sajak. 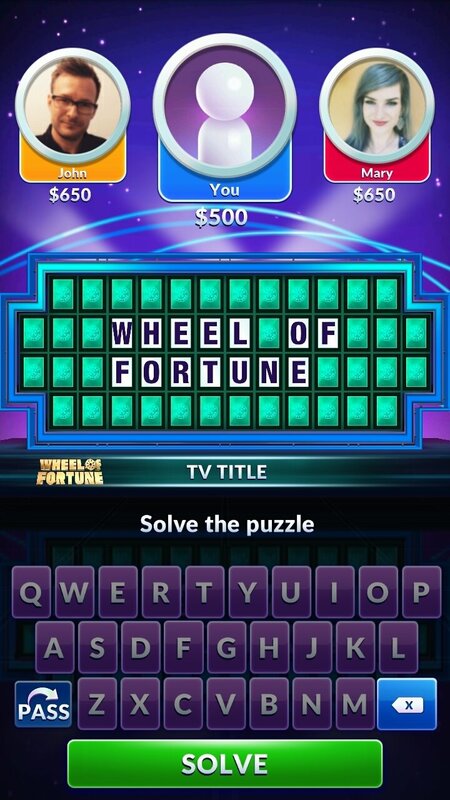 How to play Wheel of Fortune on Android? 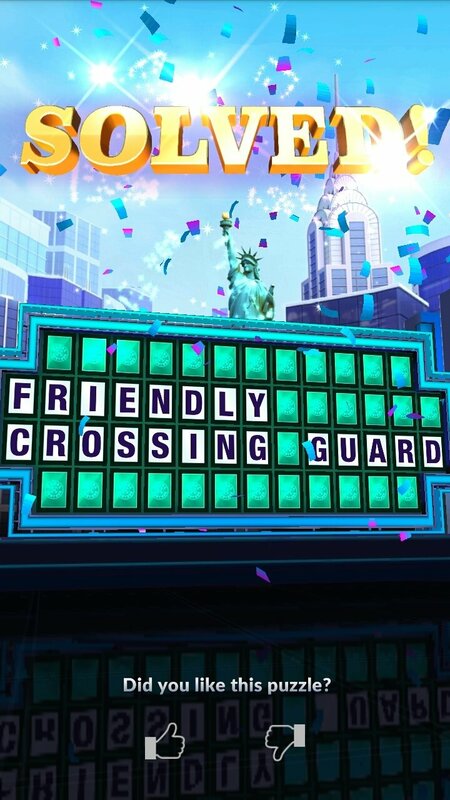 At this stage, you probably don't need us to tell you but just in case you have forgotten, we'll remind you that as a contestant you have to spin a wheel and guess the letters on a panel, similar to the hangman, to earn prize money. 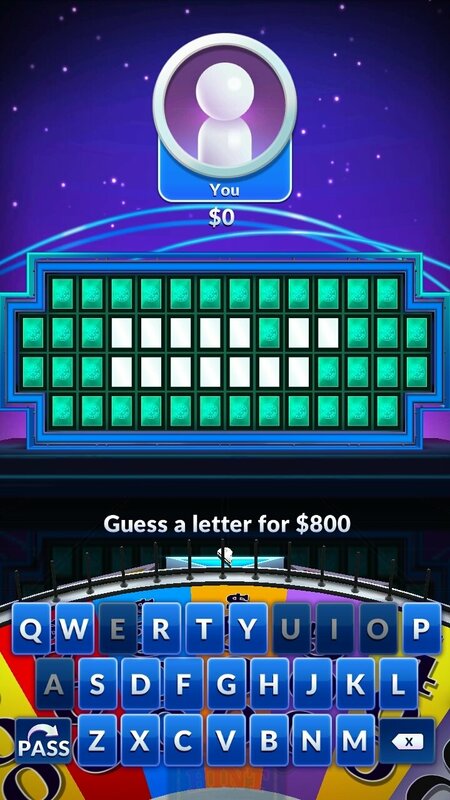 You'll play online against two opponents who will try to solve the panel before you do, purchasing vowels that will make it easier to find the solution to the concept hidden in each round. 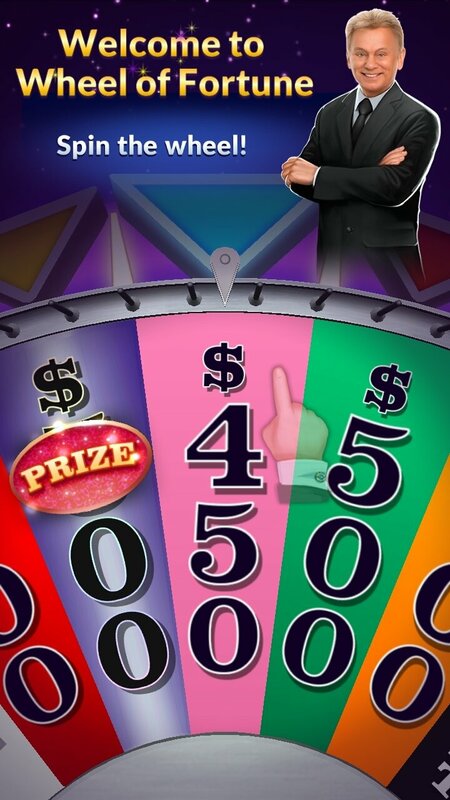 Spin the wheel to go for prizes just like in the real-life game, and trying to avoid going bankrupt or missing a turn. 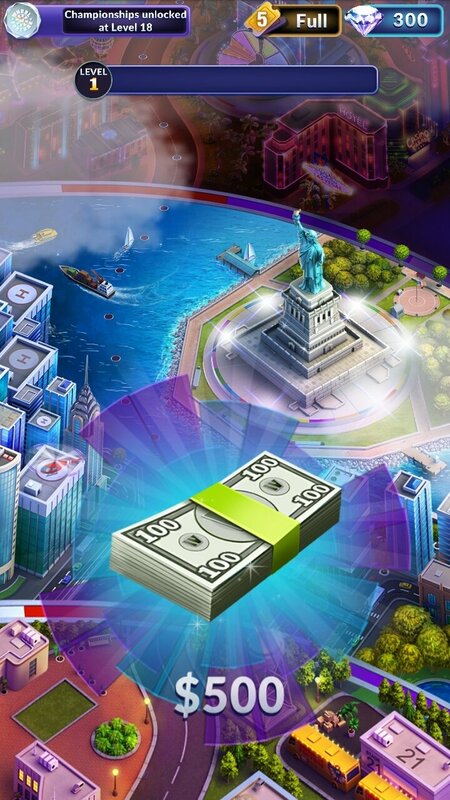 Earn prizes and unique collectible items. Play with your Facebook contacts and friends. 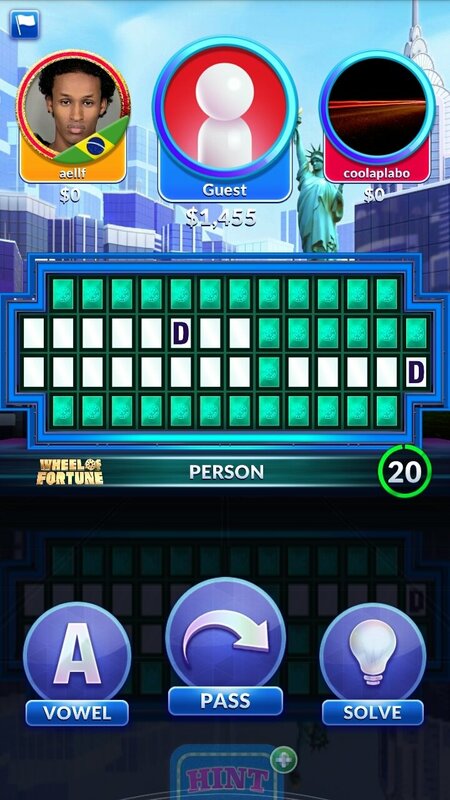 This online wheel of fortune game has everything necessary to become a hit: from the host to the prizes. 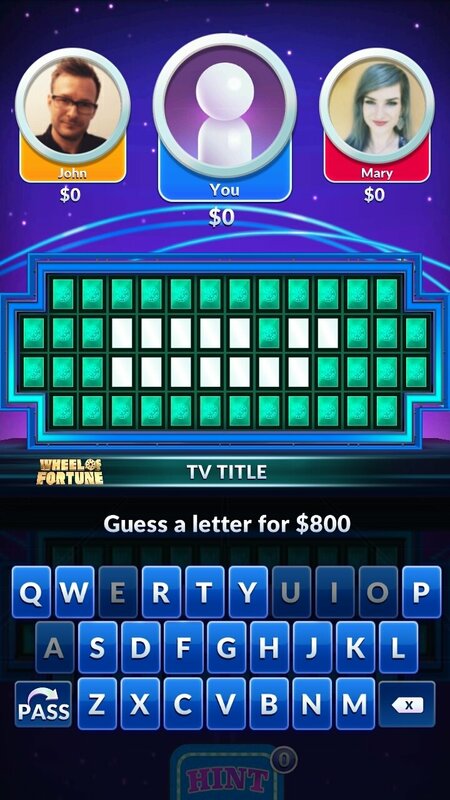 So, what are you waiting for to download the APK and take part in one of the most popular contests in the history of television?